If you eat out at only one place this month, make it Archer & Goat. Harlem is a treasure trove of under-the-radar dining destinations. The 116th Street stretch alone is home to several immigrant-owned haunts, including the West African La Savane and Safari, the only Somalian restaurant in the five boroughs. Black-owned hole-in-the-walls like Charles’ Pan Fried Chicken and Lee Lee’s Baked Goods remain affordable decades after opening. And we can’t forget the trifecta of soul food meccas, of course: Amy Ruth’s, Melba’s, and Sylvia’s. But newcomer Archer & Goat is trying to do what others haven’t dared—throw all of the neighborhood’s flavors into one giant melting pot. 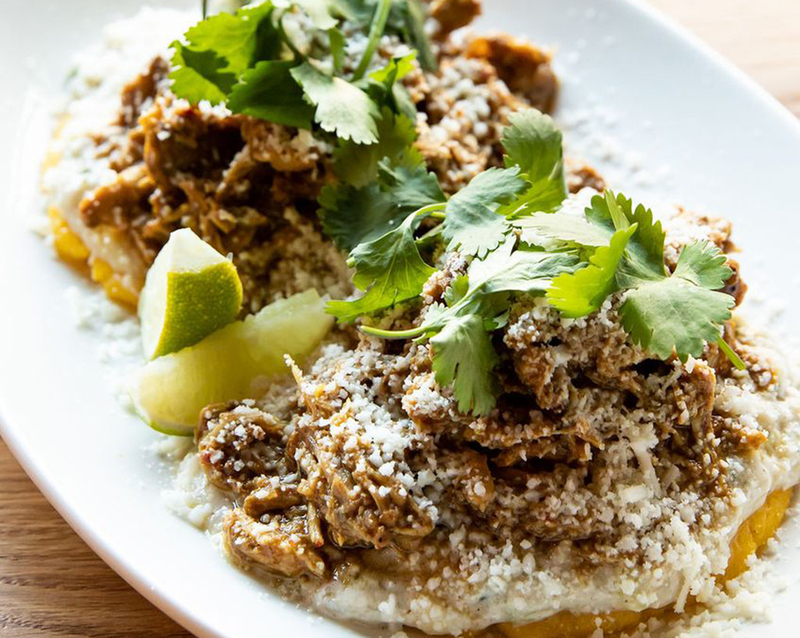 The Archer & Goat team is comprised of Ecuadorians, Bengalis, and Puerto Ricans—and their backgrounds can be tasted in every incredible bite. Tagliatelle comes tossed in a Kashmiri-style rogan josh, made with lamb neck stewed to perfection and dolloped with avocado vinaigrette for some full-bodied creaminess. The open-faced arepa, meanwhile, is the South American–Indian mashup you never knew you craved. Savory cornmeal cakes act as a hearty base for the cooling cucumber raita and tangy shredded chicken vindaloo piled atop them. The all-American burger even gets an upgrade with queso blanco and a peppery sofrito replacing the usual cheese slices and ketchup. You’d also be doing yourself a great disservice if you didn’t order a mountainous side of plantain chips. They’re served on a long metal tray with a duo of dipping sauces—minty, garlicky Puerto Rican mojo and a Bengali-style mayo heavy on the fenugreek and cumin—you’d eat by the spoonful if you weren’t dining in public. You’ll want to eat your vegetables. Really. There’s plenty to admire about the ambitious menu, but the best surprises come from the produce aisle. Tender roasted carrots are sweet enough on their own, but it is the kitchen’s decision to toss them in lip-puckering tamarind chutney and toasted black and white sesame seeds that transforms the root vegetable from a sensible side player into a standout. Earthy charred zucchini complements flavors both robust (crumbled salty paneer, jalapeño halves charred to a crisp) and seasonal (springy snap peas!). 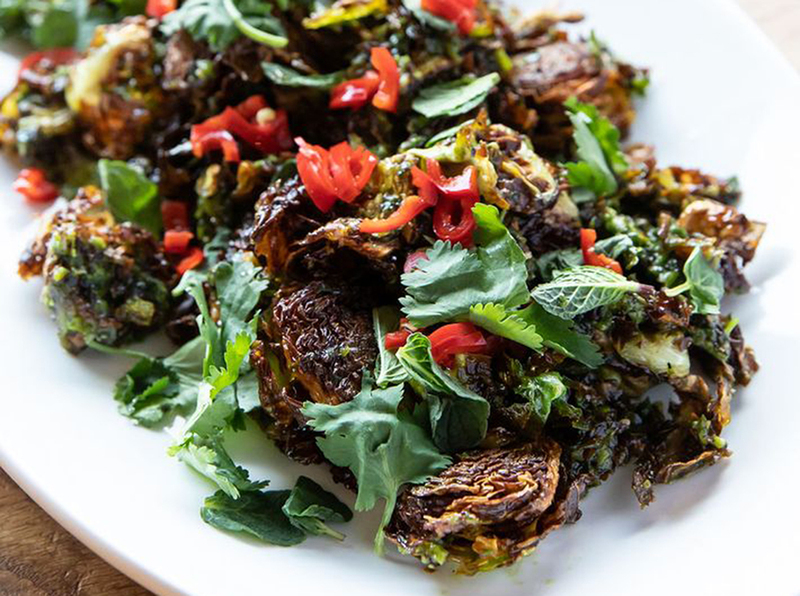 And if you thought you’ve had every iteration of fried brussels sprouts, Archer & Goat pairs the cabbage leaves’ nutty exterior with a fresh cilantro chimichurri and piping pickled peppers. Uptown beer buffs have plenty to be excited about. The New York–leaning menu features drafts and cans you’d find more prevalently in a downtown bar than a Harlem hideaway. Recent pours have included LIC Beer Project’s Late Night Sun double IPA with a honey malt base and exotic hops from New Zealand and Germany; Sloop Brewing Co.’s hazy, summery DDH Mosaic Bomb with hints of tangerine and clementine; Long Island–based Barrier Brewing Company’s 9 Meals Away made in collaboration with Mikkeller Brewing; and Graft’s Fields & Flowers, an all-day #PicnicCider brewed upstate with pink sea salt, hibiscus, and rose hips. 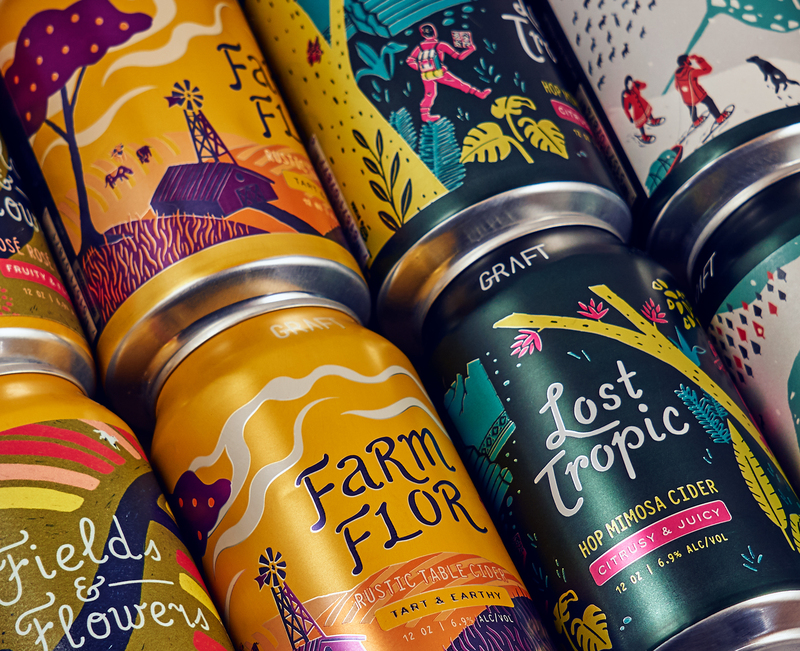 One thing’s for sure: Your selections will be the envy of all of your friends—or Untappd followers. Want even more dining recommendations from New York’s leading experts? Try our mobile app. New York, curated just for you.